It’s been a rough time for Buffy so far since she headed to college as she has struggled to find her place, while also having to deal with a demon roommate let alone the fallout from her one night stand with Parker, who this week we open to Buffy daydreaming about him apologising to her for what he did. 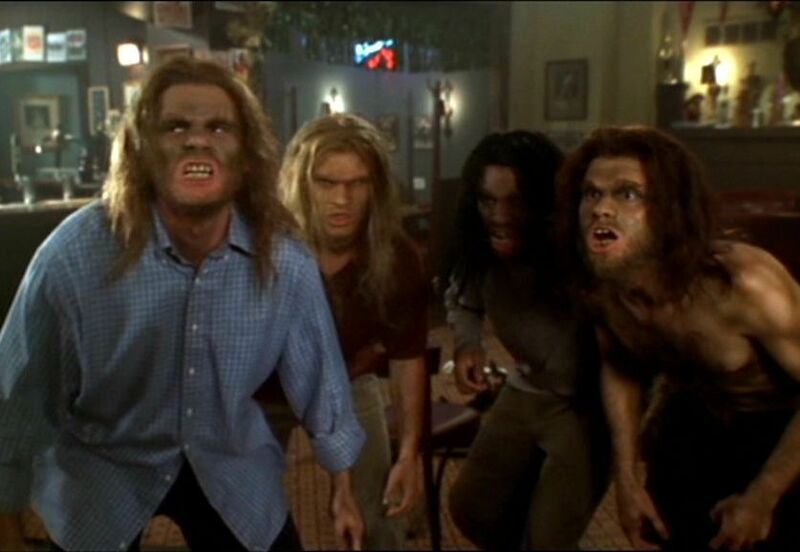 At the same time the equally lost Xander this week gets a job working at the on-campus bar where he soon discovers that there is something in the beer when a group of students including Buffy are turned into Neanderthals. One of the more controversial episodes “Beer Bad” is equally considered by many Buffy fans to be one of the worst despite the series having much worse episodes, its underlying themes and its “American puritanism. The reason for this can be credited to the fact that the episode had been written to claim funds from the Office of National Drug Control Policy which they make available to shows promoting an anti-drugs message. This plan however would fall through as while they acknowledged that drugs were an issue, the outcome was too grounded in “otherworldly nonsence” and therefore viewers wouldn’t make the link to their message. Of course when confronted with such pretenciousness its hard to not side with Xander’s boss who is responsible (with alittle help from his warlock brother) for creating the beer which is causing all these issue after he decided that he’s had enough of the student’s attitude. The Neanderthal make up here is really great, especially during the transformation sequence which while made up of a lot of flashes of the students changing is still effectiveness to get across what is happening. True once they become cave men it’s a lot of predictable slap sticky behaviour but seeing how drinking tends to make you do stupid things, I guess this was what they were going for by having them de-evolve than turn into some kind of monster (that’s something for another episode). Okay so the idea that drinking only leads to bad places or makes you dumb might be alittle heavy handed but I found that it gave us the best ending to the Parker storyline, seeing how Buffy is too reserved and largely in control of her powers to give him the beating he so badly deserves. Now cave Buffy on the other hand works on a more primal level so we can have her club Parker (twice) and it not seem out of place for her character. The only thing that would really have made it better would have been for the car which Xander puts the Neanderthal into at the end of the episode was revealed to be Parker’s. Sure the message might be alittle heavy handed and one sided here, but even without those elements its a fun little story and one which finally allows us to wrap up the irritating Parker plotline as he finally gets what he deserves, alas not before we see him try and pick up Willow only for her to shoot him down. Her character now only more evolved from her previously mousey self into the confident college student as we see here. Still ignore the underlying message of the episode and its still a fun episode about rampaging cavemen which honestly is something we just don’t see enough of.